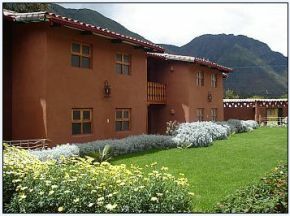 San Agusti n Urubamba Hotel, has been built in an old, preserving its magnificent Jadin. 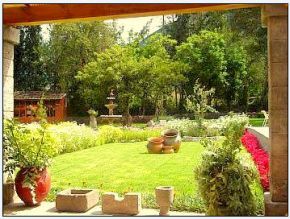 Located in the Sacred Valley of the Incas, surrounded by the magic and nature of a dream, sitting area of the Inca and his court, for its climate and its agricultural wealth mystical atmosphere. 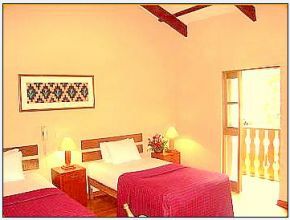 It has 40 spacious and comfortable, among which include 01 bedroom suite with Jacuzzi. Always thinking of you at your disposal, meeting rooms and banquet facilities that will make your event a success. In our restaurant & bar "El NARANJACHAYOC" you will taste the best national and international cuisine. 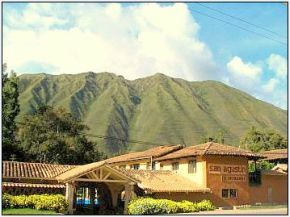 Maras: 25 minutes by car. Cusco at 1h 45 min by car. Chincheros: 40 min. ne car.